I'm registered with the Association of Taxation Technicians (ATT), the leading professional body for qualified taxation technicians, which sets the benchmark in technical education and qualification for the industry. I moved to North Devon with my family and studied A-levels at North Devon College (now Petroc), before going on to gain a BSc Degree in Social Sciences at Bath University. This was followed by a one-year Postgraduate Diploma in Business and Management Studies, in Bristol. After moving away and living abroad for a number of years, I returned to North Devon to start my accountancy career and studies. 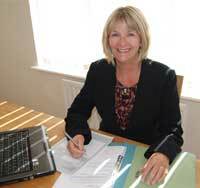 Having gained the ATT qualification in 1993, further studies for the Chartered Institute of Tax qualification followed. My focus is on the small business sector, including sole traders, partnerships and limited companies, together with personal taxation services and advice for individual clients. Call 01271 269816 or 07800 879273 for a no-obligation, free initial consultation and let’s see how we can help you.